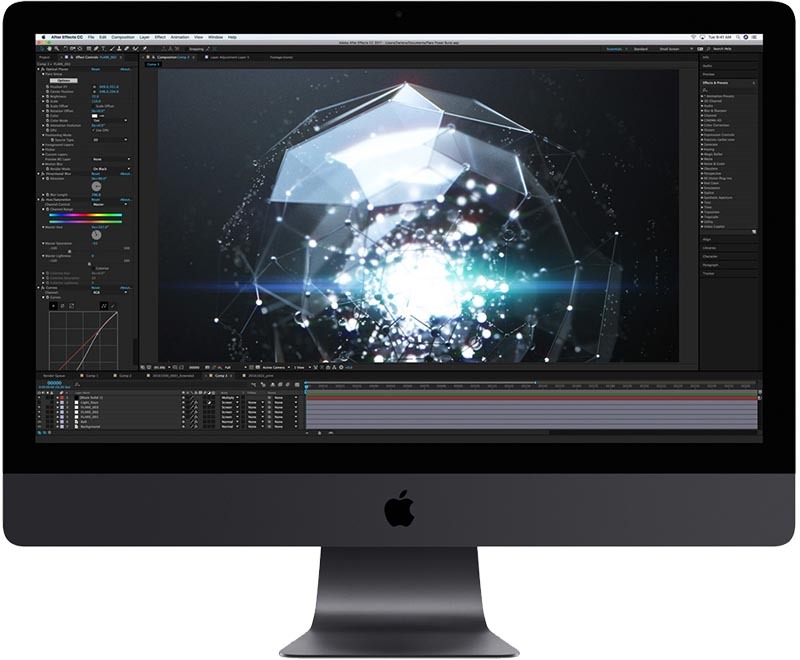 Micro Center retail stores are once again offering the entry-level iMac Pro for $3,999, an impressive discount of $1,000 off of the regular $4,999 price tag for the newly released machine. The same deal was offered earlier in the month, and iMac Pro models available at Micro Center stores were snapped up quickly. Based on the online stock checking tool, most Micro Center locations have at least one iMac Pro in stock, with some, such as the Westmont Micro Center in Illinois, listing 10+ machines available for purchase. The $1,000 discount on the iMac Pro is for Micro Center retail stores only, with the $3,999 iMac Pro not available from the Micro Center website. Apple's base configuration 27-inch 5K iMac Pro, which Micro Center is discounting, comes equipped with a 3.2GHz 8-core Intel Xeon W processor, Thunderbolt 3 support, 32GB ECC 2,666MHz RAM, a 1TB SSD, and a Radeon Pro Vega 56 graphics card with 8GB HMB2 memory. No other retailer is offering the iMac Pro at such a significant discount at this time. Micro Center is limiting purchases to one per household, and available supply could go quick. Micro Center stores are located primarily in the midwest and south, with 25 stores nationwide. Reduce the price all you want, I'm not buying it. I'm going to get the 3.0GHz 21.5" iMac. I refuse to buy any computer that doesn't still have a 5400 rpm hard drive in 2018. Only $3999, that's nothing! I will buy them all and hand them out to all the members here at that price! Apple, this is not what we meant by 5K iMac. Nice discount though. It is much more worth it, considering a 'similarly' speced iMac 27"
Just picked one up at the Micro Center in Philly. Thanks for the heads-up MacRumors!!! And thanks to Micro Center for the ridiculous bargain! Hahahaha! So passive aggressive. Love it! For those people, like me, who bought it for $4300 from them, Micro Center has "price protection" and will refund the $300 if still in the 15 day return window. Just go the store where you bought it with the original receipt and they will issue a refund for the difference. I liked it at $4300, like it even better at $4000. I can’t work out what the point of this machine is. Twice the cores, 50 percent more graphics power? What's not to love? With the 5K iMac and the Mac Pro (granted now very old), I can’t work out what the point of this machine is.